10 Interesting Facts About Me! 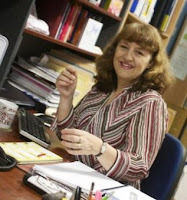 Recently, I was fortunate enough to interview Kathie Thomas, owner of “A Clayton’s Secretary” (ACS), an Australian Virtual Assistant networking group established in 1994, now supporting members in 17 countries. I discovered ACS last year, and it quickly opened a new and exciting virtual world to me. It was Kathie who introduced me to the blogosphere, and as she wisely predicted, it didn’t take too long for me to become addicted! The men and women in ACS are all dedicated to not only establishing themselves in the virtual support industry, but helping each other succeed, so it’s quite different to the corporate world where it’s survival of the fittest. Together we celebrate each other’s personal and professional achievements, exchange ideas, and when necessary, guide, assist and support members through hard times. Team members are insightful, warm and encouraging and it’s a real community. Not many can say that about their work colleagues! Anyhow, when Kathie agreed I was surprised and honoured as I know just how busy she is. Read on and you’ll see what I mean! Thanks for giving me this opportunity Kathie. You’ve been in the Virtual Assistant (VA) industry almost 15 years. How has it evolved due to modern technology? You are most welcome. Yes, I’ve seen the birth of the industry – not realising at the time that was what was happening. It never ceases to amaze me what we can do as VAs, and we’re really only limited by our own abilities and thinking. It’s not till a Client asks for some things that it occurs to me “here’s something else we can do”. What do you think is the most common misperception about VAs? Some think we’re employees or cheap labour and we’re not. However, more and more are learning everyday that we are a professional industry in our own right, and that our value is in what we can achieve for our Clients, and the amount of time and moneywe can save them. What are the key factors to achieving a successful VA/Client relationship? Keeping communication lines open. For some Clients that might mean regular phone or Skype meetings, for others it might mean frequent updates via email. The origin of our industry is that the early VAs were actually corporate PAs, and we were used to second-guessing our bosses and knowing what their needs were. It’s important that VAs today have a similar ability. They need to get to know and understand their Client’s business and perhaps even the related industry, so they can provide the best possible service. As an example, I service business coaches and professional speakers, so I’ve even joined their industry associations so I can really get in there to understand their industry. As well as being a VA, you run your own network, coach and you’re a successful public speaker and author. Which is your favourite hat? Being an author wins outright (see video of Kathie’s first book “Worth More Than Rubies” below). My lifelong dream and ambition was always to write, although being a coach and speaker fits in there well too. I was planning to be a teacher when I was a child but got talked out of it by a teacher who felt unappreciated by many. He probably did me a favour! However, today I teach through almost everything I do and publishing books was always something else I wanted to do. I feel really blessed that I’m doing things I love and enjoy. My latest book “It Happened By Design” kind of happened by accident – I guess like my previous one which started out as a blog. I was going to write a different book but I still don’t have enough material for it yet, and then this one just kind of jumped out at me. It’s about real-life extraordinary happenings to ordinary people. Many of the stories within are things that happened in my own life, and I knew there would be others who had stories to tell, so I put out a call to authors worldwide for contributions and was thrilled with the result. You’ve achieved so much in your career already, even nominatedAustralian of the Year 2008 and again this year. Is there anything left for you to do? Yes, I have many more books inside me. If I didn’t have to work for a living I’d actually be writing every single day and blogging! Probably creating new blogs too. I know I own many (note: 15 and counting!!! ), so I content myself with setting up new ones for Clients and teaching them how to work a blog. I’m already planning my next book and have a few other plans up my sleeve, including looking at helping others to write and publish books. I’d probably market more in earnest. At the beginning I was so focused on just earning the $$ as I saw that as the immediate need. Had I realised how important it was to lay some foundations, I would have done a lot more of that too. An oldie but a goodie – you can invite any 5 people to dinner. Who would they be and why? My grandmother – she’s passed away now but was a strong influence in my early life and I still quote her today. My great uncle Fred – same reason. I wrote a blog post about him called “Dear Mrs Perpetual Motion“ You should read it! Ps Rob Buckingham and Ps Christie Buckingham – my senior pastors from church. Rob puns all the time and is great fun. He and my husband get along well. My husband Graham to finish off the group. He’s my best friend and good fun to be with. More importantly, what’s on the menu and am I invited too?! I’d have to make it 6 then and yes, you’re invited! Chocolate has to be in the dessert. Am I cooking? If so, probably a stir fry or perhaps a roast – depends on what I felt like on the day. Believe you can do it and you’ll find a way. For more information on all of Kathie’s services or blogs, visit her blogroll.